Turmeric, also known as curcuma longa, is a very common herb. Often referred to as the “Queen of Spices,” its main characteristics are a pepper-like aroma, sharp taste and golden color. People across the globe use this herb in their cooking. Here are the top 6 health benefits of turmeric. Turmeric can help prevent prostate cancer, stop the growth of existing prostate cancer and even destroy cancer cells. Multiple researchers have found that the active components in turmeric makes it one of the best protectors against radiation-induced tumors. It also has a preventive effect against tumor cells such as T-cell leukemia, colon carcinomas and breast carcinomas. The anti-inflammatory properties in turmeric are great for treating both osteoarthritis andrheumatoid arthritis. In addition, turmeric’s antioxidant property destroys free radicals in the body that damage body cells. 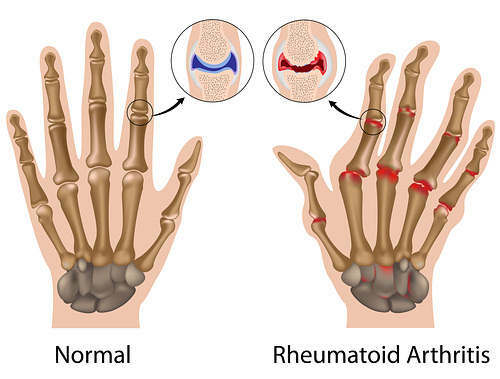 It has been found that those suffering from rheumatoid arthritis who consume turmeric on a regular basis experience much relief from the moderate to mild joint pains as well as joint inflammation. Turmeric can be used in the treatment of diabetes by helping to moderate insulin levels. It also improves glucose control and increases the effect of medications used to treat diabetes. Another significant benefit is turmeric’s effectiveness in helping reduce insulin resistance, which may prevent the onset of Type-2 diabetes. However, when combined with strong medications, turmeric can cause hypoglycemia (low blood sugar). It is best to consult a healthcare professional before taking turmeric capsules. Research has proven that simply using turmeric as a food seasoning can reduce serum cholesterol levels. It is a known fact that high cholesterol can lead to other serious health problems. Maintaining a proper cholesterol level can prevent many cardiovascular diseases. Turmeric contains a substance known as lipopolysaccharide, which helps stimulate the body’s immune system. Its antibacterial, antiviral and antifungal agents also help strengthen the immune system. A strong immune system lessens the chance of suffering from colds, flu and coughs. If you do get a cold, a cough or the flu, you can feel better sooner by mixing one teaspoon of turmeric powder in a glass of warm milk and drinking it once daily. Turmeric is a natural antiseptic and antibacterial agent and can be used as an effective disinfectant. If you have a cut or burn, you can sprinkle turmeric powder on the affected area to speed up the healing process. Turmeric also helps repair damaged skin and may be used to treat psoriasis and other inflammatory skin conditions.